Distinction Te Anau Hotel & Villas offers a comprehensive range of beverages to suit your wedding, including wine choices to suit all palates that will compliment the menus superbly. This selection is under constant scrutiny to ensure the best quality and value can be offered to you and your guests on your special day. Beverages can be purchased on the day, or you can choose to run a tab and set your own limits. If you prefer we can charge selected beverages on a per consumption basis. 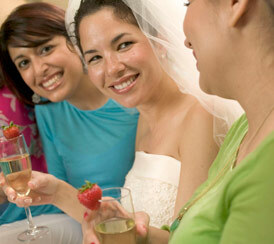 Speak with your Event’s Coordinator to arrange a beverage package to suit you.